Another bundle of joy! 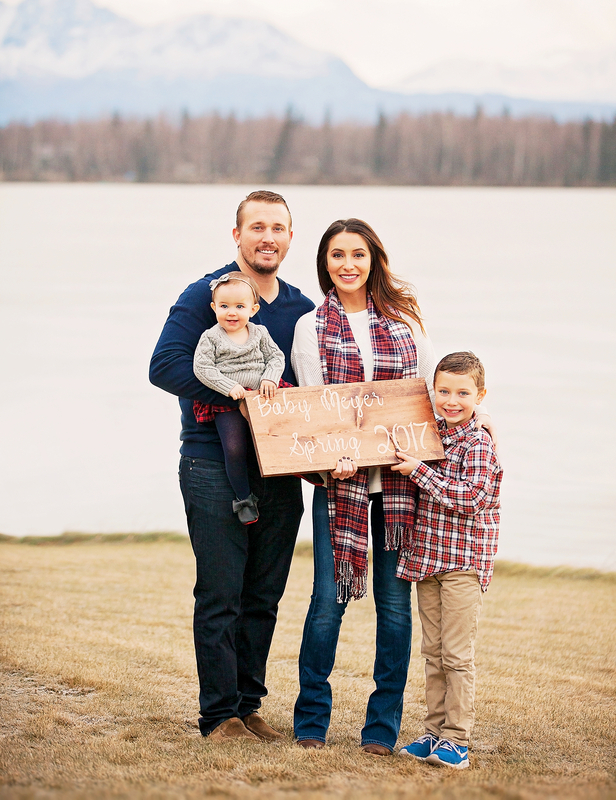 Bristol Palin is pregnant again and expecting her third child, her second with husband Dakota Meyer. “We are so excited to announce that our family is expanding!" the couple told Entertainment Tonight in a joint statement Friday, December 9. "God has blessed us so much; we are thankful for His grace and new beginnings. A springtime baby in the Meyer home and we can&apos;t wait!" As previously reported, Palin and Meyer called off their nuptials in April 2015. That June, she announced she was pregnant, writing on her blog, “I don’t want any lectures." The couple welcomed their first child together — a daughter named Sailor Grace — in December 2015. In June 2016, the couple confirmed to ET that they had tied the knot despite their brief breakup. "Life is full of ups and downs but in the end, you&apos;ll end up where you&apos;re supposed to be," the newlyweds told ET at the time. "We are so happy to share with loved ones the wonderful news that we got married!" Palin, who is also mom of 7-year-old son Tripp with ex Levi Johnston, gushed over Meyer and what a great dad he is in a sweet Father’s Day Instagram post back in June.